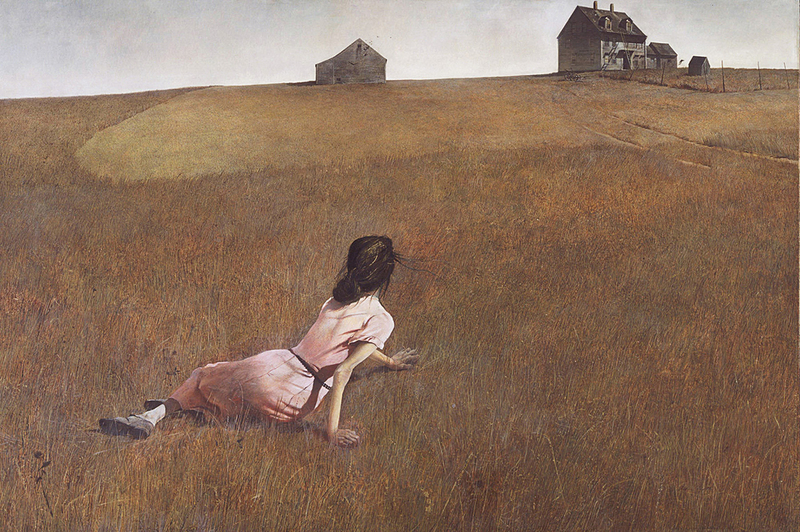 The first picture below shows Christina's World by Andrew Wyeth. 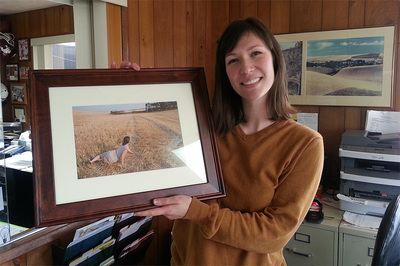 The second photograph was taken on a wheat farm in the Palouse area of eastern Washington. 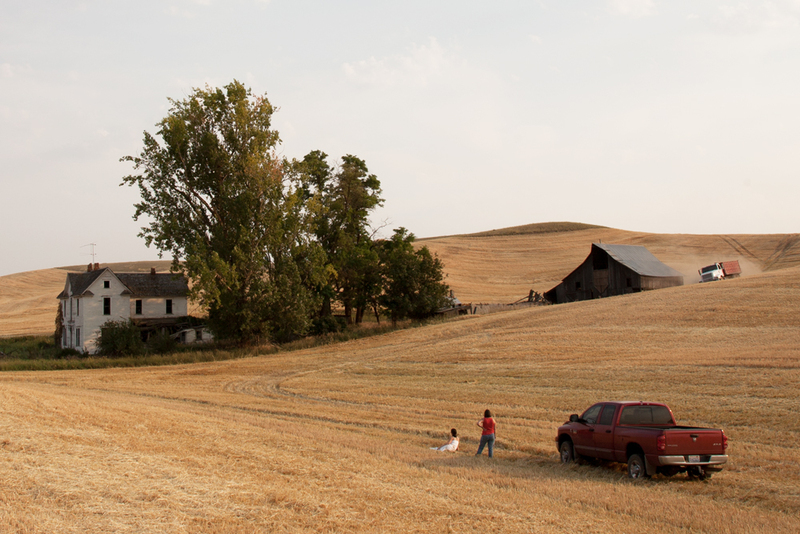 Third is a pull back shot. Last is the model, Jessiann Loomis, a fourth generation wheat farmer, with the finished photograph.